21st August 2018 - BODIE 3.7 . you'll never walk alone ! thankyou so much, i am glad that you like it because i had my fingers crossed that it would work. Lovely, lovely Lew. That's a great atmosphere you've created here! thankyou so much and yes he is lovely, always. I did make a Doyle image also with this effect too but as usual interest on here is very low so kept it in my gallery. Thankyou for loving it, it was very much trial and error to make this work so i'm glad that you like the end result. Oh my word! This is a truly beautiful, pensive Bodie! Lovely use of effects! Thankyou so much, i'm glad that you like it because i tried hard to get this to work so thankyou for liking it. thankyou though it really was trial and error to try and make the effect effective (does that make sense to you) . 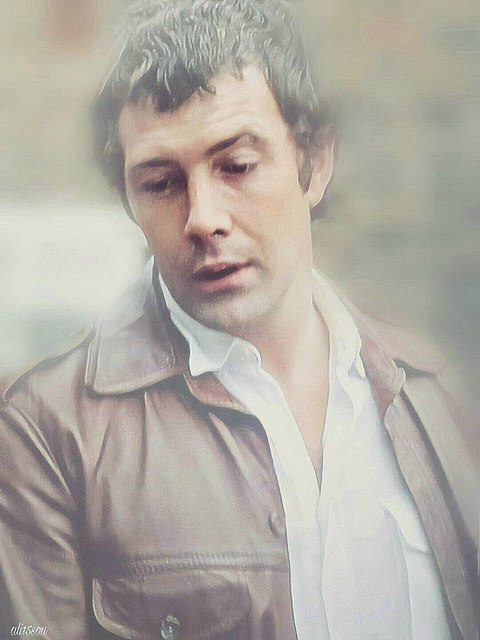 I tried to make two Lewis images and fingers crossed that they both look ok.
What ep is the image from? mmm.....beautiful isn't it and it's from the episode "you'll be alright"